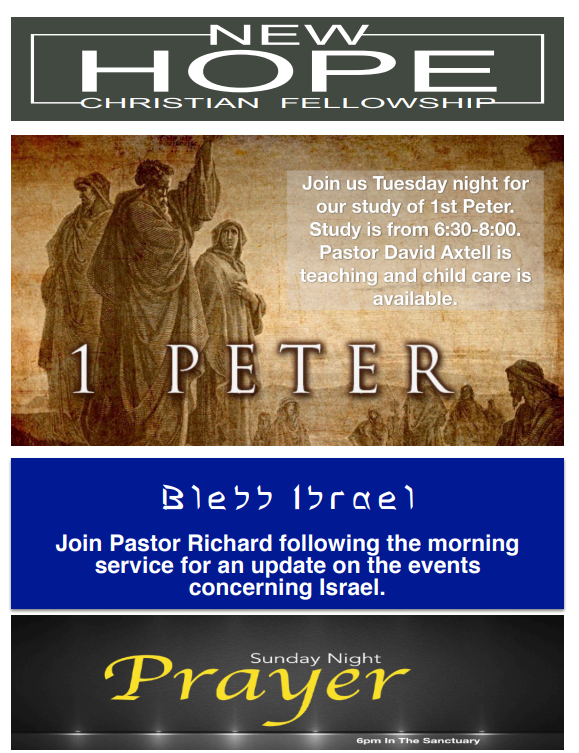 Here’s what’s happening around New Hope for this week! Send us an email, give us a call, or stop by to ask some questions. We'd love to hear from you!